Florence-Darlington Technical College and was employed at Klopman Mills,Fiber, Darlington County Library and Leggs /Sarah Lee Hosiery. She was lastly employed with Blue Cross/Blue Shield of South Carolina before her health forced her into disability. 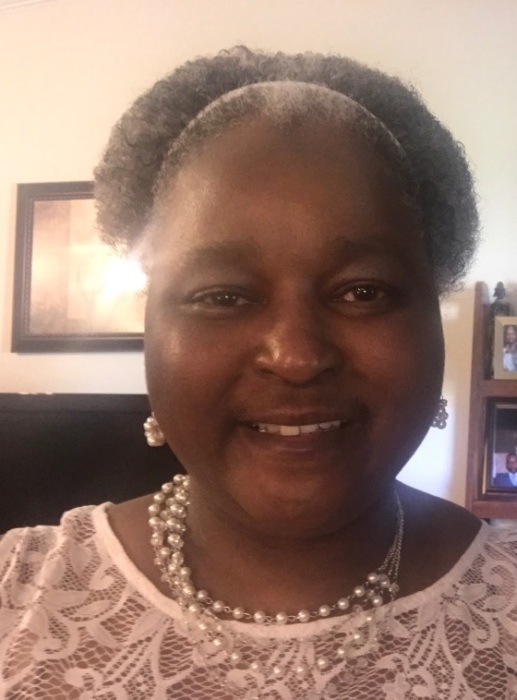 From her youth she was a member of St. John’s Temple Holiness Church and later Bethesda Baptist Church in Society Hill, SC where she was very active. In 1998,Sharon received the gift of the Holy Ghost and was re-baptized in Jesus’ Name at Greater Zion Tabernacle Apostolic Church in Florence, SC. At Greater Zion, she acknowledged her call to ministry and served faithfully until her health declined. Survivors include her husband, Jerry Green; daughter, Melanie (Tony) Pierce-Greer; son, Sedale Green; two grandchildren, Anthony and Antonio ‘AJ’ Greer; siblings, Lloyd ‘Pat’ Coleman, Linda Joyce Alexander, Julius (Carol) Coleman,Denise ‘Gale’ (Mitchell) Douglas, Christopher (Judy) Coleman, and Randolph Sims; sisters-in-law, Elizabeth Green, Jacqueline Jett and Naomi Sims; a host of aunts, uncles, nieces, nephews, other relatives and friends.